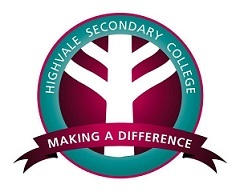 JP BOOKS WILL BE SELLING NOVELS AND REQUIRED WORKBOOKS AT HIGHVALE SECONDARY COLLEGE ON DECEMBER 6TH & 7TH 9.00am - 4.00pm. BOOKS MAY BE PURCHASED ON THE DAY VIA CASH OR EFTPOS. Please note: All orders placed on the JP Books website require pre-payment via our secure on-line payment facility. You can place your order online by filling in your requirements and following the collection and payment instructions. You can nominate a domestic or business address. Delivery is by Australia Post with a charge of $10.00. Orders can be pre packaged and sent to school on the selling days on December 6th & 7th 2018. RETURNS All books are sold on a firm sale basis. In special circumstances returns will be considered but only until February 27 2019. Returns cannot be made if items are marked in any way.